Form: Equal Tee, Reducing Tee, Barred Tee , Lateral Tee. We provide our clients with a robustly constructed gamut of tees that are made from stainless steel, brass, bronze and copper. Suitable for varied industry verticals these tees are highly acclaimed for their qualitative features. Our clients can avail these tees from us in customized specifications and at market leading prices. 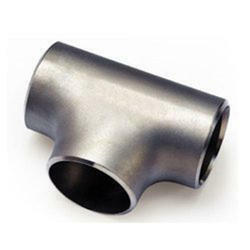 Stainless Steel Unequal Tee, Size: 1/8" To 48"
- Reducing Tee, 3/4" x 3/4" x 1/2"
- Reducing Tee, 1" x 1" x 1/2"
- Reducing Tee, 1-1/2" x 1-1/2" x 3/4"
We offer unequal tees and cross unequal that can be suitably used in high as well as low temperature conditions. Manufactured from high grade material, these products are known for high-strength, less maintenance, excellent finish and longer life. 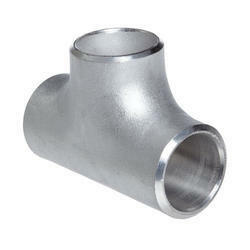 Further, our range is available in different specifications in order to meet the varied industrial requirements.